One In The Spirit symbol designed and created in polymer clay by Nancy Denmark. 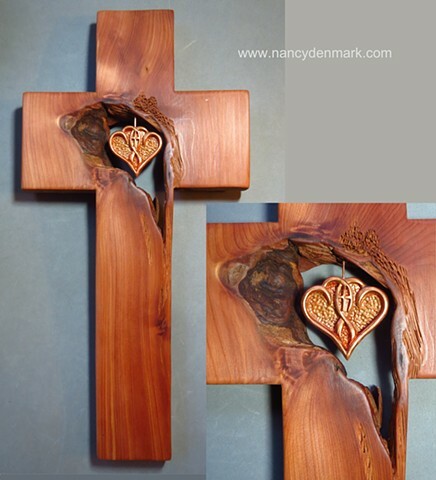 Cedar cross made by Margaret Bailey. Dramatic pieces of wood like this don't come along very often. More measurements: The wide arms on this cross measure 2.5 vertical and 3 horizontal.